Aggie, October is your month and I dedicate it to you. You have been such an inspiration to me and I am happy that I have "met" you. 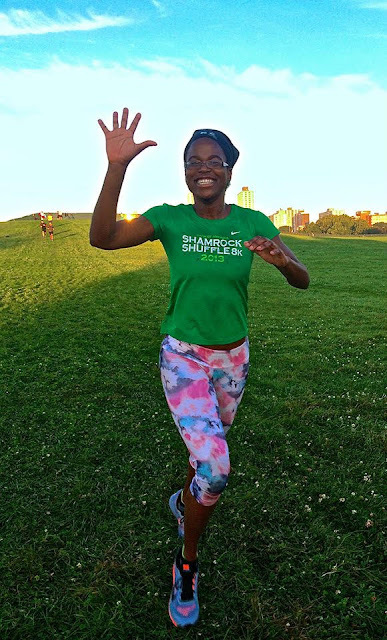 Hello, my name is Agnes and I am delighted to be featured on ThatIndieRunnerwebsite along with other inspiring men and women from across the globe. I studied Economics in University then attended law school afterwards. 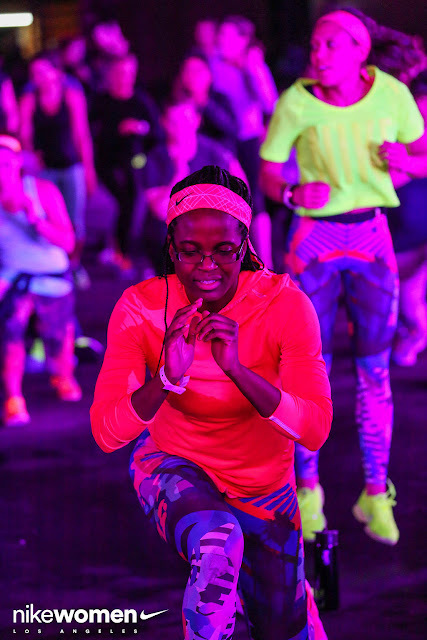 I grew up in Nigeria and South Africa and all throughout my younger years, fitness was always part of my life. Now that I'm in my late twenties, fitness continues to play a major part in my overall health and wellness. Outside of work and exercising, I enjoy volunteering and getting involved with my community. One of my favourite charities is Charity Water, a New York non-profit organization that provides clean water to families around the world. I raised over $1000 for Charity Water in 2013 and I continue to tell my friends and social media followers about this great organization. When a community gets access to clean water, it can dramatically reduce diseases (more clean drinking water), allow kids to go to school (less time fetching water from a stream or well), improved hygiene (more time to bathe in clean water), and grow local economics. I feel very fortunate to live in America where clean water is available to me every day. When I was younger, I was in the Athletics team in primary and high school. For school competitions, I ran in the shorter distances (100m, 200m, and relays). I also took part in long jump and high jump. I loved sprinting back in school and never liked longer distances. During University, I began running in shorter distances such as 5ks. I only started exploring the world of long distance running years later. In March 2013, I ran my first 10k (6.2 miles) with Nike Women in Chicago. The 1st mile went well but then it started to rain. I don't like running in the rain because of the wetness and cold but I managed to pull through and continue running. 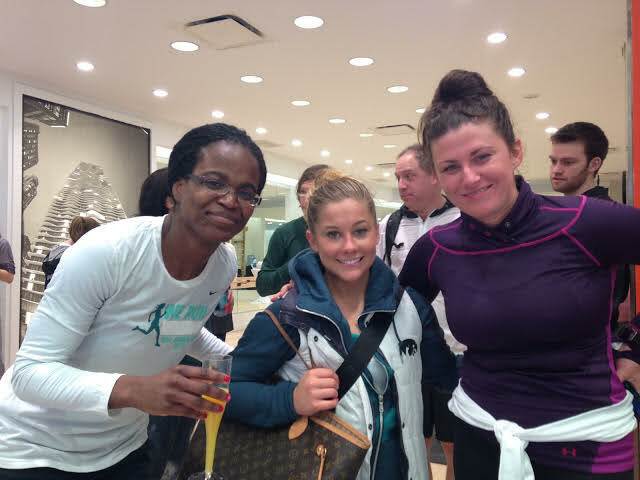 Nike made the whole day fun by bringing in celebrity trainer Jeanette Jenkins and Olympic gymnast, Shawn Johnson. 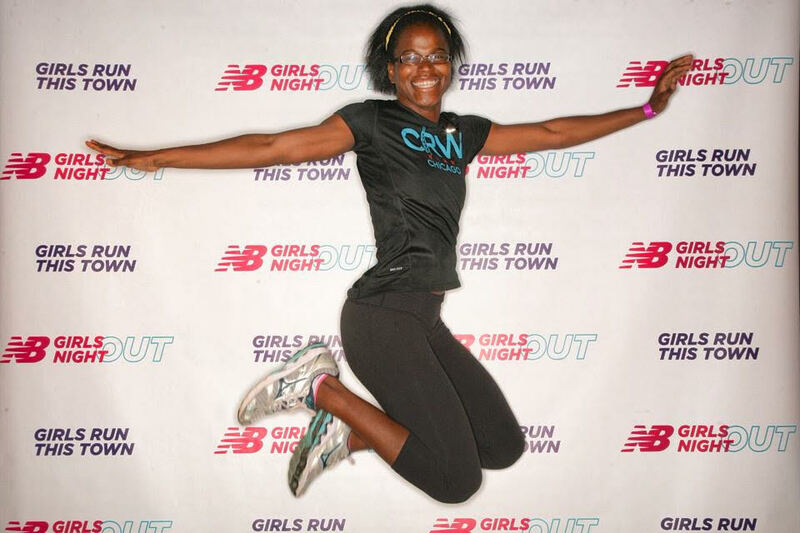 Overall on running, I enjoy running but I wouldn't call my self a serious runner. I run for fun and I train more when I sign up to compete in a local race. My favourite form of exercise is strength training and cardio workouts. I don't have a gym membership so I utilize Nike Training Club workouts. Having the NTC app really helps me maintain my fitness. I've always being a runner since I was as little as 5 years old. I remember playing with my siblings in my town when I lived in Nigeria. We would go running around the sugar cane fields and had so much fun doing it. I can't remember when exactly my first run was but it probably would have been a school race (100m or 200m). Street culture can be unique and interesting. Finding inspiration and ideas from others allows you to better yourself and your brand. I believe street culture pushes limits and allows you to think outside the box. I've lived in mid-size to big cities my whole life and one place where I think street culture thrives is Chicago. There are so many different ethnic groups living in Chicago that fashion, art, and running can intersect at any given time. The idea of how to run has changed over the years as people start to trust themselves rather than listen to the advice of others. People are now listening to music as they run and others are using sport watches to track their runs. 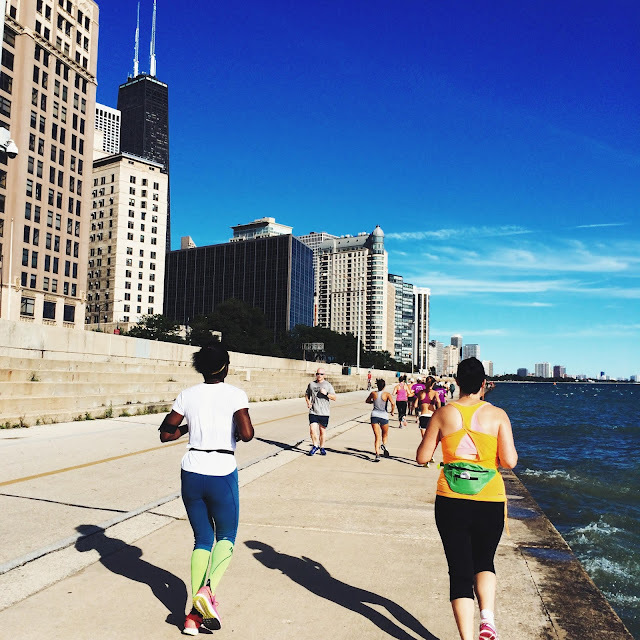 Running is a sport that is free and can be done anywhere outside. I'm finding that nowadays, more women; especially minority women - Blacks, Asians, etc, are starting to run. No one has set rules on who should run so the more women, children, and men that run, the better. I love running gadgets. I currently use the Nike+ running app and my Garmin watch to track my runs. I think gadgets are great but sometimes they can be distracting. Once in a while, it is nice to go running without any electronic gadgets and just feel the fresh air and listen to the sounds on the streets. I've had a nagging ankle injury for a long time now that is starting to get better. 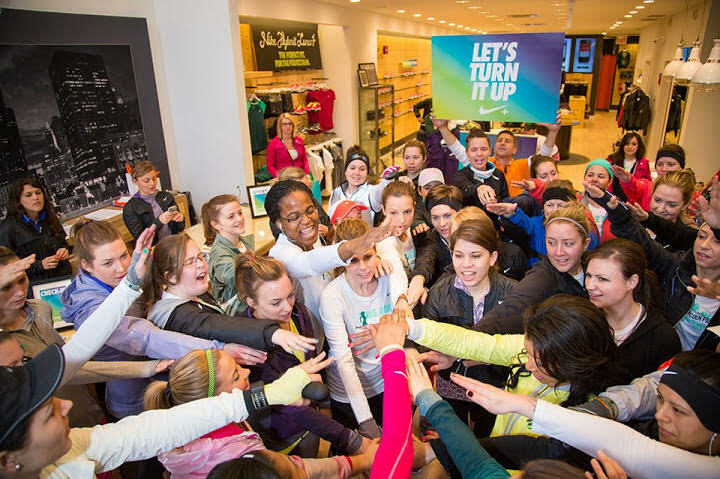 When I ran my first marathon last year, the Chicago Marathon, I trained with Nike Chicago and had a blast. The race was in October 2014. Training wasn't always easy. For about 4-5 weeks during training, I didn't run because of an extremely painful and tight ankles. I probably should not have even ran the race but I was able to push through and finish my first marathon. Crossing the finish line of any race while injured is not recommended but I listened to my body and knew I could eventually finish the Bank of America Chicago Marathon. Attending physical therapy back in September 2013 helped me cure my ankle and learn important stretching techniques. I highly recommend others to visit a physical therapist or doctor for running pains or running injuries. Over past 2 years, I've started wearing compression socks on my longer runs and foam rolling to alleviate aches and pains. I don't like talking about myself too much but getting the finishers medal at last year's Chicago Marathon was an awesome running achievement for me. I never in my wildest dreams thought I would run a marathon. I'm currently training for 2 half-marathon races which are both in October of this year (one in Columbus, Ohio and the other in China). This year, I was very fortunate to get chosen as a Sister City International/Columbus Marathon Athlete Ambassador. I will be going on a sponsored trip to China with 2 other local runners to participate in the Hefei International Marathon (but I will run the half-marathon distance). After spending 5 days in Hefei, I will spend a few days in Beijing to visit some popular attractions like the Great Wall of China. I have many personal, work, and athletic future goals. As far as running, I would love to complete my 2nd marathon one year. I would love to run the Paris or London marathon. Social media is a great way to meet other people who have common interests as you. 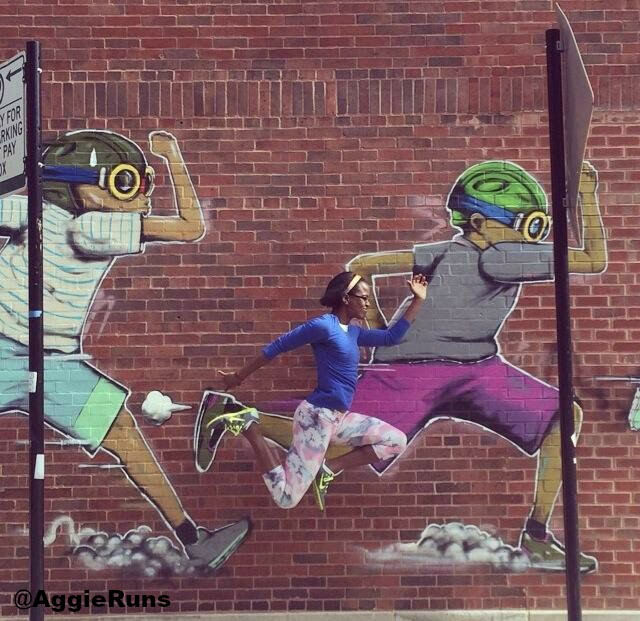 I use Instagram and twitter to post about my runs and other subjects. I also maintain a blog where I discuss my running and healthy eating. Last year, I started a feature on my blog called "Meet the Runners" where I introduce runners from around the world. This has been a great way for me to connect with other people. 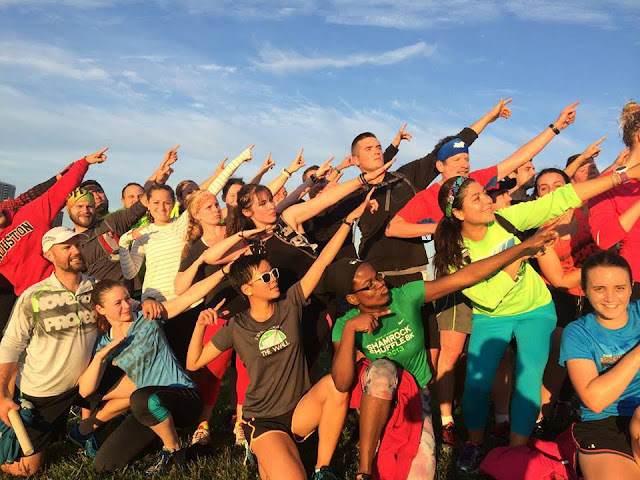 Through social media, I found out about this awesome free fitness group, November Project. 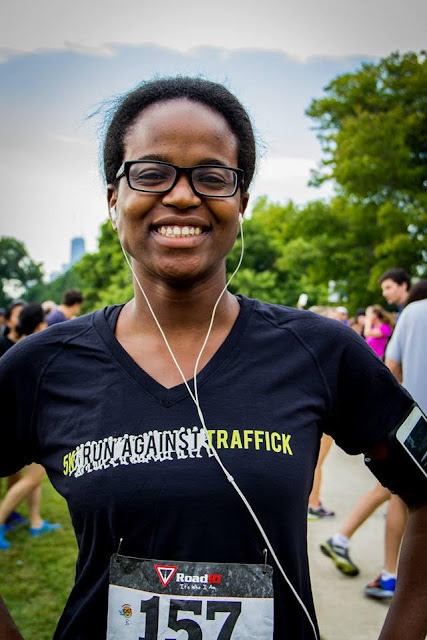 Below is a photo of me after a workout session with November Project Chicago in September 2014. The online community can be good and bad but so far, I've had good experiences. Haha....pink was actually one of my favourite colours growing up. I used to love colouring in my picture books with pink and blue. Pink is more importanly, a universal symbol for breast cancer research (the Pink Ribbon). In University, I ran the Komen 5k Race for the Cure to raise money for breast cancer research. No one in my family is affected by breast cancer but I think knowing the causes and prevention can help everyone live a healthy life. I don't see a reason why women shouldn't run. 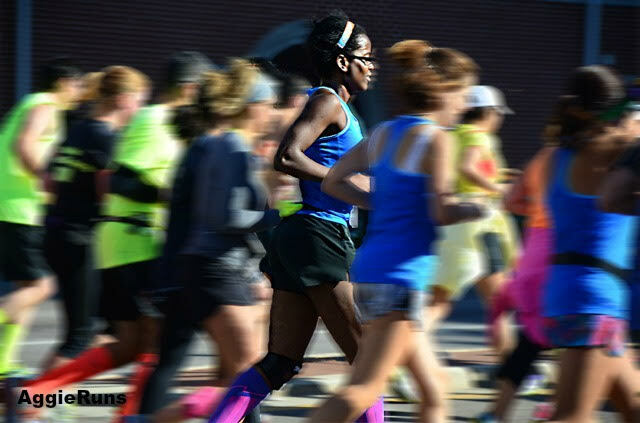 Women should run and should run long and far. 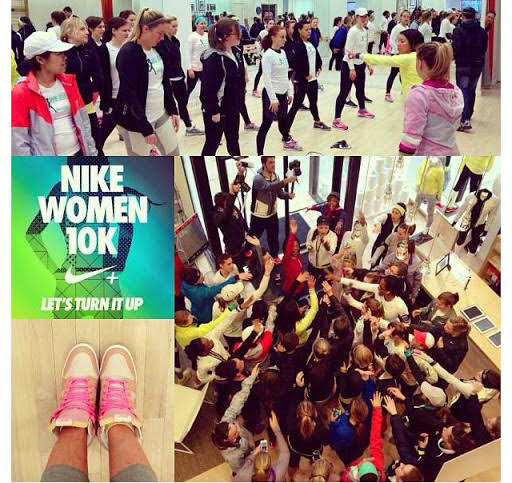 Women should because like men, we can run and we actually DO RUN!! I would tell my past to listen to my body when it comes to running pains. I have been very stubborn when it comes to training for races because sometimes I train when I'm in pain. I've learnt a lot over the years on calming down and going one step at a time.